Lavastorm technologies are truly interesting and innovative. 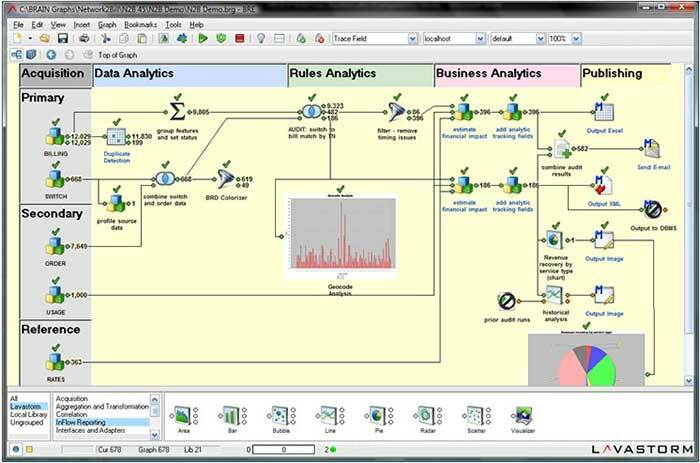 This is not another data visualization or ETL toolset, but a platform that enables a complete workflow from data connection, through data wrangling (merging, cleaning, transforming, profiling), to the creation of visualizations and analytical models, and last but not least the deployment of those models in a production environment with monitoring and alerts. The Analytic Engine provides a graphical drag-and-drop interface that starts with connections to data sources, and ends with a data visualization or analytical model. These models can be run against real-time data, generating alerts when thresholds are breached, or simply allowing management to monitor performance. Lavastorm can be used to prepare data for other analytics tools, including Tableau, Qlik and Spotfire. With the data preparation workload accounting for anywhere between 50% and 80% of the analytics task, any technology capable of reducing this overhead, while improving governance and transparency, has to be welcome. Lavastorm claims orders of magnitude reduction in the time to prepare data, and most importantly, the toolset can be used by business users instead of ETL specialists. While Lavastorm has been around for well over a decade, its technologies have suddenly become very timely with the advent of big data and increasing data complexity. This is a graphical environment for creating data workflows using a drag-and-drop interface. Lavastorm claims, and it seems fairly apparent, that business users can create their own data flows – and quite complex ones at that. It easily handles the mashing of data from multiple data sources, and takes the user through the processes necessary for cleaning, profiling and transforming the data. For predictive and statistical analytics Lavastorm offers an enterprise grade R ( the open source analytics language) environment. IT can provision sandboxes on the fly, data scientists can compile algorithms into accessible, reusable analytic building blocks, and analysts can deliver insights through the self-service, drag-and-drop predictive analytic functionality to build complex data models and provide validation for their current visualization tools. Such a dull name for an exciting piece of technology. The Lavastorm Resolution Center (LRC) is where the rubber touches the road. This is where the analytics become actionable, and the LRC comes with integrated alarms, case management, reporting and query capabilities. The uses are numerous and include revenue assurance, retail loss prevention, process improvement and defect resolution programs. The alarms can notify threshold violations or data anomalies, and controls can be adjusted as business conditions change. In a case management environment alarms can be detected that need follow up. A routing engine ￼allows managers to define rules that ￼automatically create cases, append alarms to ￼new or existing cases, and identify potential ￼suspects. The system automatically adds ￼reference data to suspects in each case, ￼ensuring the right level of problem detection. research and resolution efforts, and management with the detailed insights they need to understand operational trends and performance. 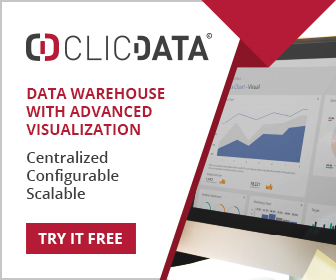 Ad hoc visualizations, pre- defined reports, and multi-report sets that act as basic dashboards are possible. With Lavastorm, powerful analytics can be shared ￼using existing corporate policies with non- ￼technical consumers via read-only applications ￼that visually display the underlying business logic, ￼the how and what of the results, on any web ￼browser. ￼Consumers can re-run the analytic application ￼using dynamic parameters for ad-hoc requests. ￼Users can also be exposed to all of the analytic ￼applications in the directory and request ￼permissions to gain access paving way for governed data discovery.